Have a Crack on the FREE Wizard of Oz Ruby Slippers Slots. 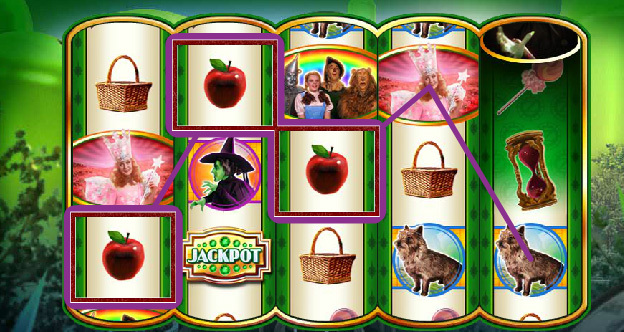 Wizard of Oz Ruby Slippers online pokies is one among three similarly themed slots with the other two being the original Wizard of Oz and Wizard of Oz Wicked Riches slot. If you do not understand how one pair of shoes can change your life, this online slot is about to show you how. This pair of Dorothy’s ruby shoes has been dear to many since 1900 when L. Franklin Baum published his novel. WMS really did a great job designing this fantastical 5 reels and 30 paylines slot. Wizard of Oz Ruby Slippers offers four great bonuses. It is designed with trimmed golden reels and a background glowing green thanks to light from Emerald City. You will see friendly icons from the film, Wizard of Oz. They include Emerald City, Toto the dog, Lollipops, Glenda – good witch, Apples and other great looking symbols that make you pick the ruby slippers again and again. You will also note icons like Wicked Witch, hourglass, and a wicker basket belonging to Dorothy. There is a high paying symbol that features Dorothy, Tinman, Lion and Scarecrow. As usual, any WMS online game is offered with a simple game play that even granny could understand. 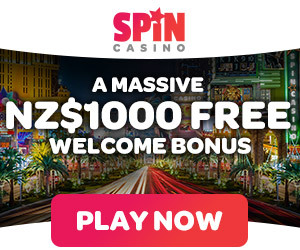 All you need to do is determine how many paylines you need to activate and how many coins you want to bet per spin and click “Spin” – sit back and enjoy. Note that you can play on all 30 payout lines. Low stake rollers can bet a minimum of 0.01 per line while mid stake rollers can bet up to 60 coins per spin. However, players should not expect to create winning combos frequently or landing bonuses on just 1 active payline. There is an auto-play option that allows you to play games in succession until you are awarded a bonus round or until you hit at least 200 spins. Wizard of Oz Ruby Slippers is a feature rich pokies machine. This online slot has wilds, scatters and multipliers among other great features. The game’s logo serves as the standard wild. It features sparkling ruby shoes centered on letter O. Wizard of Oz icon acts as a scatter and triggers free spins which are offered with multipliers ranging from 5x to 10x. Bonuses on this online slot occur frequently to keep you on the game. The Ruby Slippers feature occurs randomly so keep an eye open for it. It starts by the ruby slippers clicking together. You will see bubbles on the screen and one of five reels will become stacked. Other reels may follow suit. In total, four reels may become stacked. You will also see Crystal balls which appear on Ruby Slippers and are used to tell the future. Through them, you may see your possibility of winning up to 500x your stake. Find the Broom mini game feature is activated when you land 2 bonus symbols on reels 1 to 4 and Wicked Witch on reel 5 simultaneously. Once active, you will see 25 boxes from which you are to click one in a bid to search the witch’s mode of transportation. You may win a possible 50x your stake from this mini game. You will be awarded 5 free spins when you land Wizard of Oz scatter on reel 5. Other symbols will appear to give you re-spins and multipliers. Wizard of Oz Ruby Slippers is an interesting game with a high payback percentage and awesome bonus rounds. This is much better than the original WMS online pokie and we rate it a solid 8.5 from 10 points. Have a free play and decide for yourself! Google + Profile: Tina Lim on December 30, 2015. on September 9, 2016.